An enjoyable, fulfilling retirement is a continuous improvement process. It’s a matter of continuous personal development through lifelong engagement. There are many choices. The right approach is the one that works best for you. Today there are many sources of information for seniors. This set of resources has been collected from members who have found them to be of value. 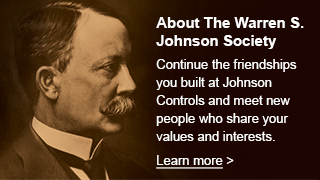 We are not professionals at this, and please don’t consider a listing here as an endorsement by the WSJ Society or Johnson Controls. It’s a list of resources that some members have found of value. Maybe there’s one that will help you. By the way, if you have a resource that has proven its value, please pass it along. You can send a link to Join the Discussion with a brief comment on why you have found it of value. Thanks for your help. Here’s our current listing of resources, we hope you can put them to good use. Retired Brains is a more complete shot at planning for retirement. Retired Brains and Senior Veterans Service Alliance were suggested by an interested visitor to our website. What do you think of them?